If you have been reading this blog awhile, then you already know that I like to share unique brands with you, especially when it comes to tech design. Today's post is no different, and has an interesting concept. 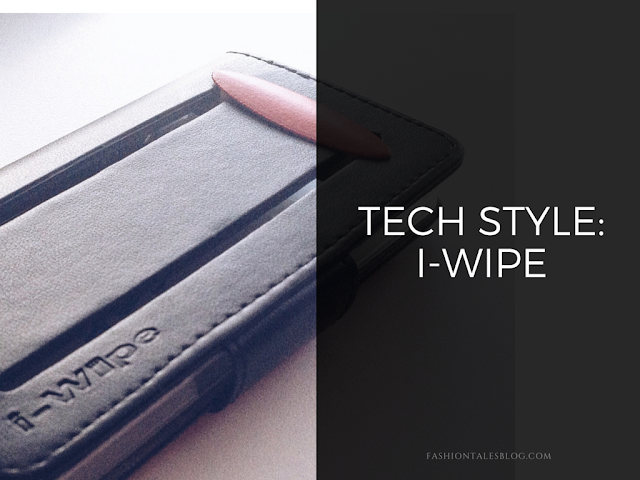 The emerging brand i-Wipe have created an essential, and very practical element within their new Smartphone case range. 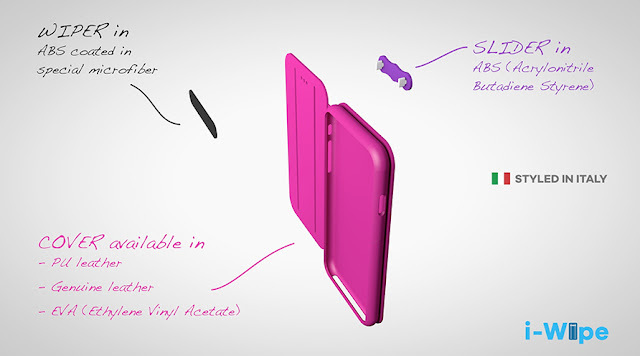 These case covers allows the user to clean their phones with one swipe from top to bottom. 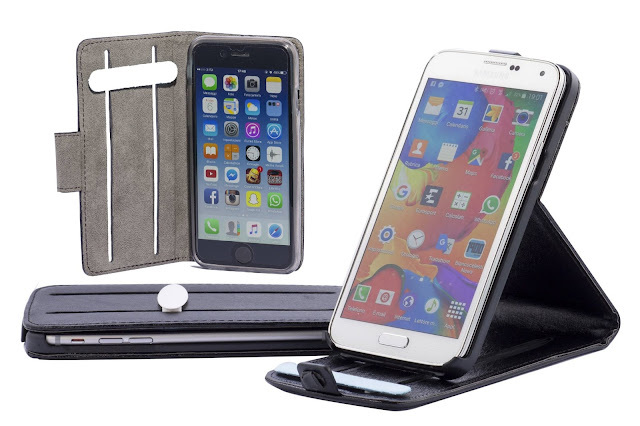 The i-Wipe mobile case range includes cover book opening styles, as well as vertical flip opening covers for Apple, Samsung, and other brands. The Italian patented cases have an ergonomically designed wiper that's engineered to be easily replaceable, and keeps your screen clean. I currently use a sterilized cloth and alcohol-free cleaner for my tech devices, because of the germs that live on mobiles, tablets, and other tech devices regularly. Just like cleaning your makeup brushes, it is just as important to keep your Smartphones clean. Studies have shown that there are dangerous amounts of bacteria and germs that live on your Smartphones. Surprisingly, many people neglect to cleanse their hands regularly throughout the day. Imagine, every time a person touches their Smartphone, or their face, shake hands with various people, touch their food, or handle other items during the day sans washing their hands. It's disturbing to even ponder, but it happens in many cases! After using a Smartphone, it typically leaves a microbiological imprint on the device. Some bacteria is harmless, as we all carry some form of bacteria even as healthy humans. However, think about your environmental surroundings, such as being in an airport, in close proximity to someone sneezing, or coughing, (which are considered medium bacterial transferences). I think the concept of the i-Wipe is a clever one, and I have been using it in rotation with my microfibre wipes. The case itself is well-made. The actual toggle comes in a contrast colour (mine in red), and the case covering (mine in black) has an invisible magnet tab closure with dyed to match top-stitching, and the brand logo embossed on the top. If I could tweak one thing, it would be to make the wiper/toggle another colour and texture—I think silver would look lovely, or some other type of metal-like material for a sleeker aesthetic and finish. Aside from that, the case did live up to its claim in cleaning my iPhone screen whilst on the go. On the contrary, I would be interested in seeing other variations of this concept to see what works best over time, perhaps even styles with removable fibre sheets attached to the toggle, etc. Have you heard of i-Wipe? What do you think of their concept? 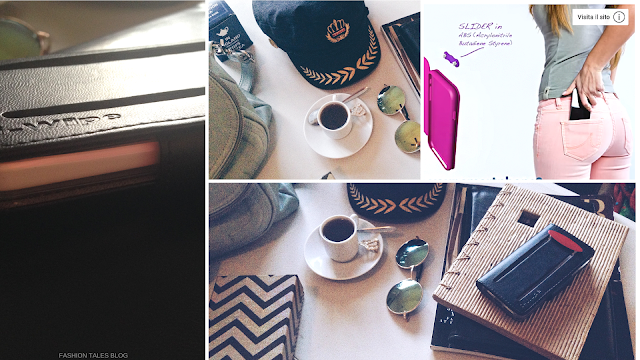 The goods: i-Wipe phone cover in booklet style in black-Courtesy of i-Wipe. Made in Italy. I was given a case for an honest review. All opinions expressed are my own. *1-Reference here. Images: Fashion Tales, and i-Wipe. *For more information or to shop more i-Wipe styles click here. Get 10€ off any cover with the code: BLOGGER. Wow this is the first time I heard of this concept will love to try it out. Fab review! I need one!